The Catalan city of Barcelona is going to be the focus of the tech universe from 24 February for a whole week as tens of thousands of business people attend Mobile World Congress, an event organized by GSMA and a number of partners. But there's another lesser-known event called 4 years from now that will take place at the same time and will target developers, entrepreneurs and startups operating in the mobile segment. We caught up with Aleix Valls, the head of entrepreneurship and innovation at Mobile World Capital (not to be confused with Mobile World Congress) in order to find out more. TechRadar Pro is giving away tickets to the event worth 299 Euros each. Find out more here. 1. Why Barcelona is the Mobile World Capital? In 2012, GSMA chose Barcelona as the world capital of mobile technologies, a status which will be extended until 2018. The success of Barcelona's candidacy, having competed against the likes of Paris, Milan and Munich, is due to the quality of the plan adopted, which involves a public-private partnership model in which industry and government work together, and the fact that since 2006 Barcelona has been successfully holding the sector's biggest global event: the Mobile World Congress. The Mobile World Capital Barcelona Foundation, formed on March 13, 2012 and responsible for managing the capital, is governed by a board formed by the Ministry of Industry, Energy and Tourism, the Regional Government of Catalonia, the City of Barcelona, Fira de Barcelona, and GSMA- an entity that represents the interests of more than 800 mobile operators and more than 200 companies in the worldwide mobile ecosystem. Mobile World Capital Barcelona is an initiative designed to turn Barcelona into a leader in the area of mobile transformation. Its objective is to generate the optimum conditions so that companies and agents from different areas can carry out that transformation, and so that all this has a local impact. 2. In a few days, Barcelona will hold a huge event of Telco's industry, the GSMA Mobile World Congress. What's its relationship with Mobile World Capital? MWCB leverages the city's differentiating assets, such as the Barcelona "brand," the fact that it has been successfully hosting the Mobile World Congress, and the strength of strategic sectors as Health, Tourism, Smart Cities, Automotive and Creative Industries, among others. In addition, the mobile world capital draws upon Barcelona's own assets, such as its talent and knowledge - universities, research centers and technology parks - and the city's outstanding infrastructure. 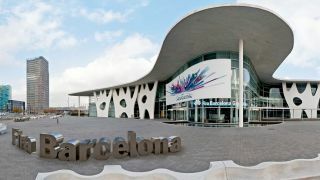 Barcelona has been hosting for some years now the Mobile World Congress, and in fact, the Congress is one of the assets that GSMA took into account when Barcelona was chosen Mobile Capital in 2012. We consider the Mobile World Congress a pillar within WMBC, as it responds to the city's aim to enhance the transformation of the Mobile sector. So, for one week, Barcelona will become the global epicenter of innovation. Today, the Congress is held in Barcelona thanks to the MWCapital, and that is the reason why the Mobile World Congress is an event of the Mobile World Capital. 3. What's 4Years From Now? 4Years From Now (4YFN) is an international forum organized by Mobile World Capital Barcelona under the auspices of the Mobile World Congress from 24 to 27 February 2014. 4YFN will bring together supply and demand and promote knowledge transfer and networking among more than 1,000 entrepreneurs, professionals, startups, accelerators, incubators, and investors from around the world. The 4YFN program is slated for four working days. For the first three days, from 24 to 26 February, activities will be held at the Fira de Barcelona's grounds in Montjuïc, taking advantage of the fact that the Mobile World Congress 2014 has recovered this facility. On 27 February 4YFN activities will be held at the Gran Via facility, where attendees will have the opportunity to schedule meetings with exhibiting companies and convention attendees. 4. How did the idea of creating 4YFN for entrepreneurs came up within the Mobile World Congress? Barcelona will host over the next four years, the Mobile World Congress, the largest gathering of the ICT sector and technology corporations.